Obsessive Bryce Harper Watch: Cubs Reportedly "Never Engaged on Bryce Harper At All"
I can imagine a scenario where this is the last Obsessive Bryce Harper Watch post, given the long-present belief that the Cubs would only seriously pursue Harper if they first moved significant salary, which no one reasonably expects to happen at this point. With the Phillies nearing an offer, with Joe Maddon possibly saying it’s not happening, and a credible report that ownership hasn’t given the front office a green light on Harper, the Cubs are probably as “out” as they’ve ever been. Great stuff with Jim Bowden on @espn1000. 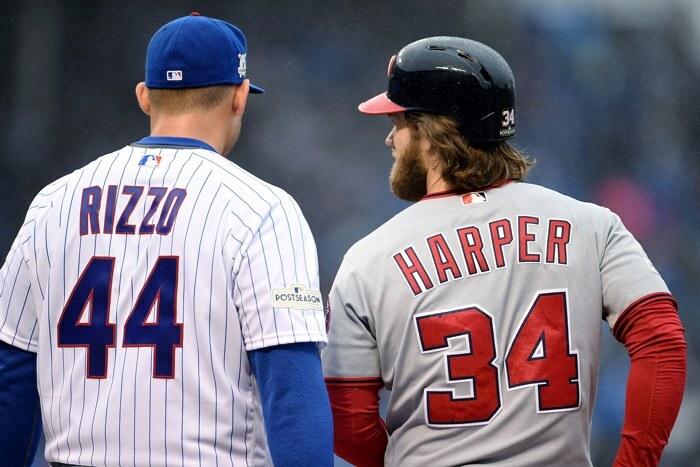 "The Cubs never engaged on Bryce Harper at all. They might make a whisper or two but they will not be making a big move." Jim Bowden, whose history as a rumor-monger is checkered at best, does have a long-standing connection to the Nationals, so maybe you listen to him in this context a little more closely. But you’ll note that as recently as a couple weeks ago, he was still putting the Cubs in the mix on Harper, and you’ll also note previous reporting that the Cubs had a very long meeting with Scott Boras on Harper at the Winter Meetings. So. One thing you do have to keep in mind, though, even as you might want to be hopeful: the Cubs front office is not planting stories with Jim Bowden, and this rumor wouldn’t help Harper and Boras in the efforts to keep pushing his market northward, so you can’t as easily dismiss it as bogus from one side or the other. It might just be, you know, correct. Ultimately, given the conflicting past reports from Bowden, I probably won’t take this one quite at face value, but it also doesn’t help change what we’ve already felt for almost two disappointing months now: barring a shocking change of heart by ownership or a shocking huge trade of a contract, the Cubs are not going to seriously pursue Harper. Given the rarity of free agent opportunities like this, I feel like that’s a mistake. Time will tell and all that.